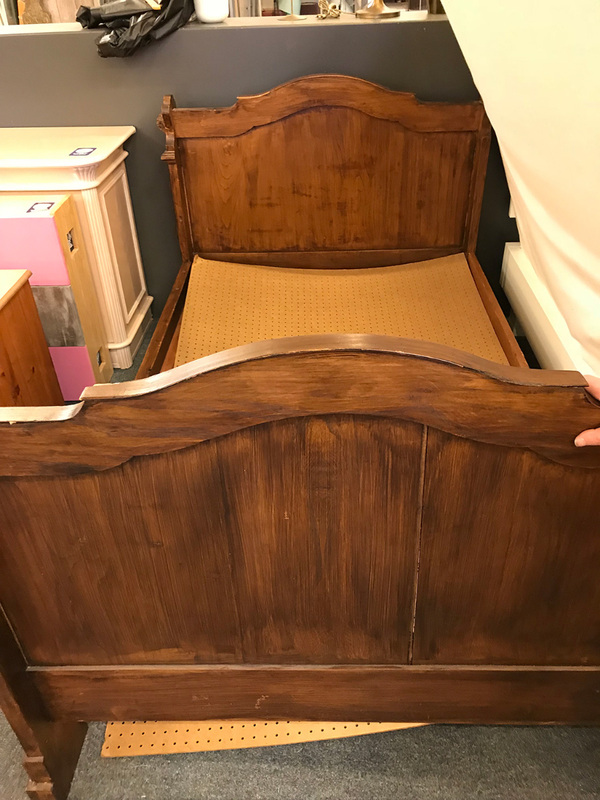 I salvaged this gorgeous antique bed. And I will take you on the journey of buying, restoring and selling in several parts. This is will be part one, the find and examination. Most of the items I collect at auctions,brocante farms or salvage stores. 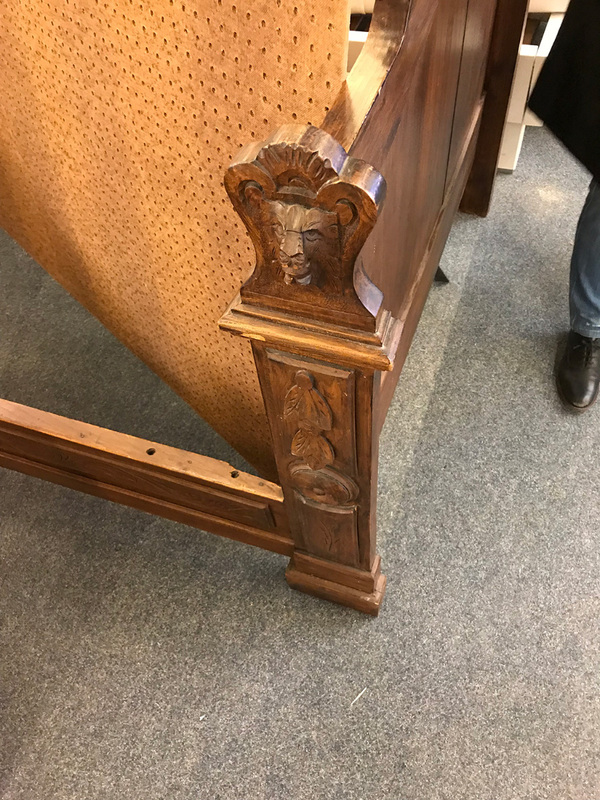 Recently when looking at a salvage store I came across this bed, actually I did not notice it but someone pointed it out to me. . It was half covered by a matras, in a dirty brown color, painted very badly, they did not even bother to sand it, the paint stripes still visible. But after a close examination, the screws had quite some age to it, on of the first thing when I try to date a piece of ( antique ) furniture are the screws. They were machine made but the head of the screw was to tiny for modern screwdrivers. Since screws were first machine made after 1848 ( see https://www.thesprucecrafts.com/determine-the-age-of-antique-furniture-148746 ) it was safe to say that the bed was made after 1848. The size of the place where the mattress should come was odd and not for modern mattresses, 115 cm or 45,27 inches. From this we can deduct that it is not made after 1950, that’s when matrasses came in their standard sizes. 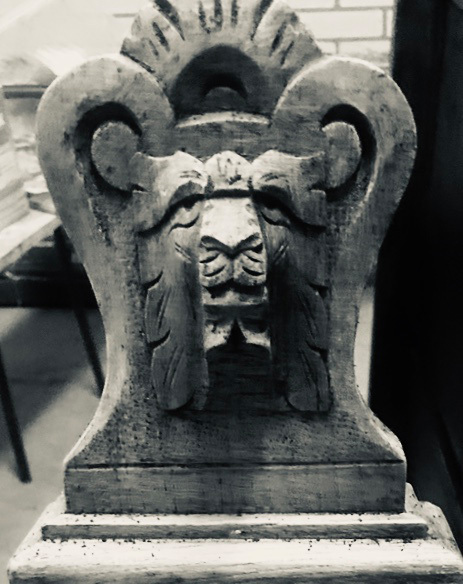 The style of the lion heads and leaves in combination with the leaves and the sturdiness make it Victorian which dates it between 1840 and 1910. So if I have to date this bed it should be between 1850 and 1910. The first thing I do when restoring antique furniture is disassembling the hardware and any loose pieces of wood. The posts of the bed were a little wiggly and fastened with two big screws. So after removing the screws the post came right off. 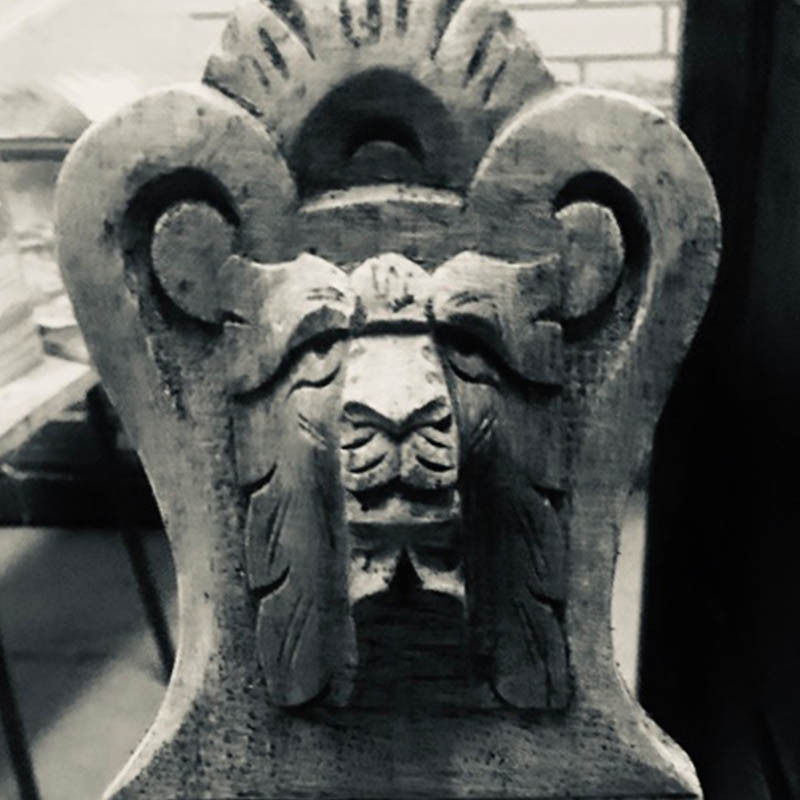 The post on the other end was covered by a lions head which probably had the screw below. 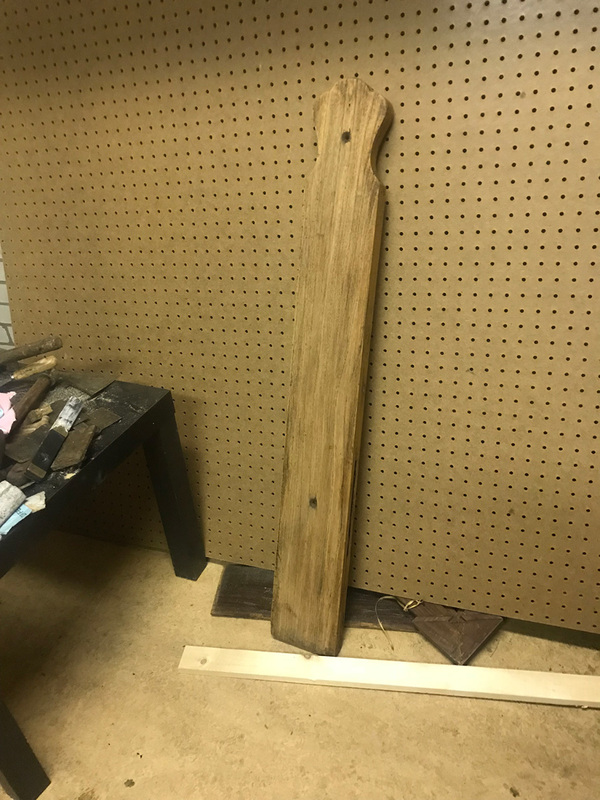 Since this side was quite sturdy I decided to leave the post on. The bed was made to stand against a wall, since only one side was decorated. A lot of old and antique furniture have plain sides on the that faces a wall. After the first post came off I needed to remove the hardware, only three screws were holding the mechanism, after removing these screws, i will fill the hole with a filler so that when the screws go back in the fit will be much tighter. Now the horrible paint has to come off. 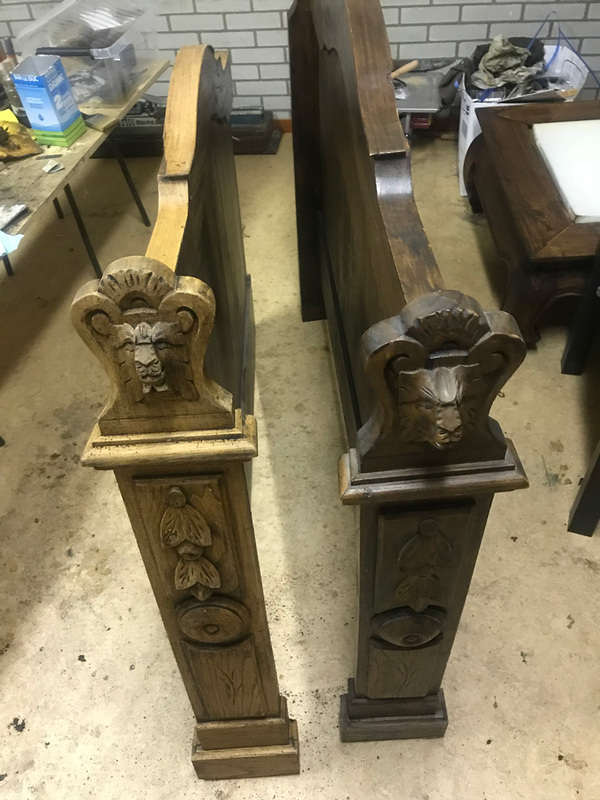 After applying a generous amount of stripper and a pause of 15 minutes the paint came right of and showed beautiful blank oak underneath with gorgeous nerves. 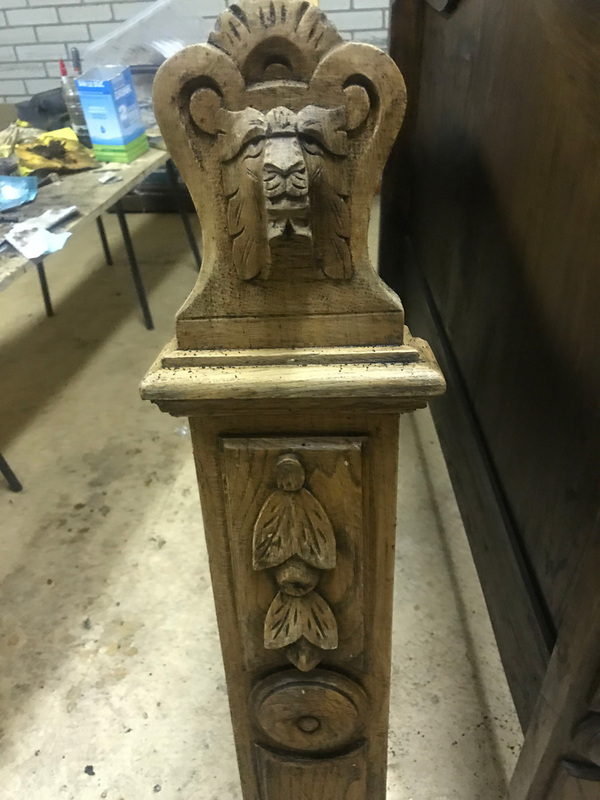 Now I wanted to start on the post with the lion head, this post has a lot of ornaments and needed some elbow grease. So after letting the stripper sink in I took a brush and made sure I got to every corner. Put on an other coat, some more elbow grease and low and behold, perfect ornaments. Time to call it a day. Next post there will be some more stripper and hopefully some repairs.